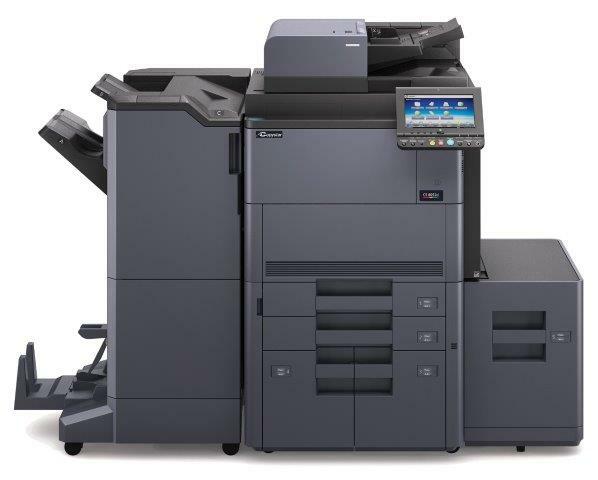 With an uncompromising feature set, the versatile Copystar CS 5002i is a powerful Black and White MFP that streamlines business critical print, copy, and color scan tasks. From intuitive walk-up operation to flexible desktop control, the CS 5002i improves the way you manage information across your enterprise. This powerful platform enables users to quickly and efficiently produce hardcopy documents and digital files with fast throughput and scanning speeds. To further automate workflows, the CS 5002i can be equipped with added paper capacity and finishing for maximum productivity and minimum job turnaround time. Integrated business applications can further enhance capabilities, and keep information moving at the speed of your business.